To the website for The Villages Community Development Districts, your local special purpose government! 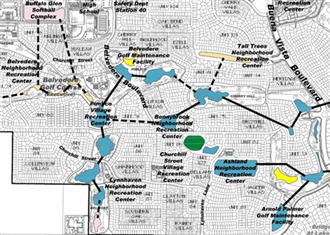 The Villages community is comprised of 17 special purpose districts, established pursuant to Florida State Statutes, which are responsible for a variety of functions including maintenance, recreation, public safety, sanitation, water and wastewater services. We encourage you to keep up with What’s Happening in the community by signing up for E-notifications, attending District Board Meetings, and taking advantage of one of our many learning opportunities - our District Weekly Bulletin, CDD Orientation, and Resident Academy. We appreciate you taking the opportunity to learn more about our role in making The Villages community a premier place to live, work and play. If you have any questions or would like additional information on any of the services we provide, please contact the District Customer Service Center at (352) 753-4508 or stop by our office at 984 Old Mill Run in downtown Lake Sumter Landing. Thank you for visiting our website! This page is currently under construction as we continue to improve our communication while remaining focused on providing optimal customer service. If you have any questions, contact us at the District Customer Service Center at (352) 753-4508. At the direction of the Amenity Authority Committee (AAC), the Recreation & Parks Department gathered input from residents regarding both internal and external recreation center features for the First Responders Recreation Center. Breedlove, Dennis & Associates, Inc. (BDA) compiled a list of animals to identify protected wildlife species in The Villages. Are you interested in learning information about The Village Community Development Districts? Help alleviate the confusion, questions and misinformation that exist regarding the responsibilities and functions of the Districts. Congratulations to The Villages Public Safety Department on continuing the StormReady recognition for The Villages community for another three years! For additional information on this accomplishment, please click on the header of this announcement. At the direction of the Amenity Authority Committee (AAC), the Recreation & Parks Department gathered input from residents regarding both internal and external recreation center features for the First Responders Recreation Center. 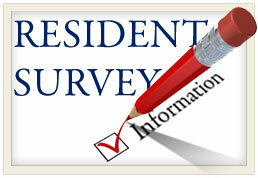 To view the survey results, please click on the header of this announcement. Continue to visit www.DistrictGov.org for additional updates and information! Village Community Development District No. 3 (District 3) is seeking an alternate member to serve on the Architectural Review Committee. The applicant must be a full time resident of District 3 and have lived in The Villages for at least one year. Candidates are recommended to have education and/or experience in any of the following areas: architecture, ability to read site plans, residential/commercial construction, building management, deed restricted communities, landscaping, county code enforcement, etc; however, this is not required. The Committee meets weekly, on Wednesdays, for approximately 3 1/2 hours (8:00 a.m. until 11:30 a.m.). The required attendance for the alternate member is to attend an Architectural Review Committee meeting each week for four (4) weeks and then monthly thereafter. If you are interested in becoming an alternate member on the Architectural Review Committee for District 3, please click the header of this announcement for the application. Please complete the application and return it to the Community Standards Department, 984 Old Mill Run, The Villages, Florida no later than 5:00 p.m. on Friday, April 26, 2019. For information about the position, contact the Community Standards Department at 352-751-3912. Beginning May 1, 2019, Chelsea Terrace between Kristine Way and SR 44 will be closed to vehicular traffic so work can be done for the future installation of the Morse Boulevard connectivity bridge over SR 44. A new entry/exit will be constructed from Kristine Way for access to the Rohan Regional Recreation Center. Please use caution in this area and pay attention to all directional signage. 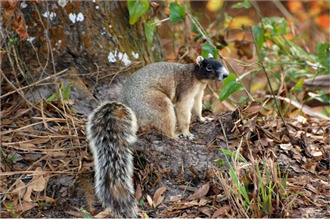 Breedlove, Dennis & Associates, Inc. (BDA) compiled a list of animals to identify protected wildlife species in The Villages. To view the 2019 The Villages Protected Species Wildlife Guide, please click on the header of this announcement.  is seeking an alternate volunteer committee member for Village Community Development District No. 4. Village Community Development District No. 4 (District 4) is seeking an alternate representative on the Architectural Review Committee (ARC). The alternate applicant must be a full time resident of District No. 4 and have lived in The Villages for at least one year. Candidates are recommended to have education and/or experience in any of the following areas: architecture, ability to read site plans, residential/commercial construction, building management, deed restricted communities, landscaping, county code enforcement, etc; however, this is not required. This requires attendance at the ARC meeting every week for the first four (4) weeks and once every month thereafter. The Committee meets weekly, on Wednesdays, for approximately 4 hours (8:00 a.m. until 12:00 p.m.). If you are interested in becoming the alternate volunteer representative for District No. 4, please click the header of this announcement for the application. Please complete the application and return it to the Community Standards Department, 984 Old Mill Run, The Villages, Florida, no later than 5:00 p.m. on April 30, 2019. For information about the position, contact the Community Standards Department at 751-3912. Village Center Community Development District for the Lady Lake / Lake County portion of The Villages (this area does not include Fruitland Park) is seeking a primary and alternate volunteer member to serve as their representative on the Architectural Review Committee. The primary applicant must be a full time resident of the Lady Lake / Lake County portion of The Villages (this area does not include Fruitland Park) and have lived in The Villages for at least one year. Candidates are recommended to have education and/or experience in any of the following areas: architecture, ability to read site plans, residential/commercial construction, building management, deed restricted communities, landscaping, county code enforcement, etc; however, this is not required. The Committee meets weekly, on Wednesdays, for approximately 4 hours (8:00 a.m. until 12:00 p.m.). The alternate applicant must be a full time resident of the Lady Lake / Lake County portion of The Villages (this area does not include Fruitland Park) and have lived in The Villages for at least one year. Candidates are recommended to have education and/or experience in any of the following areas: architecture, ability to read site plans, residential/commercial construction, building management, deed restricted communities, landscaping, county code enforcement, etc; however, this is not required. This requires attendance at the ARC meeting every week for the first four (4) weeks and once every month thereafter. The Committee meets weekly, on Wednesdays, for approximately 4 hours (8:00 a.m. until 12:00 p.m.). If you are interested in becoming a primary or alternate volunteer representative for the Lady Lake / Lake County portion of The Villages, applications are available by clicking the header of this announcement. Please complete the application and return it to the Community Standards Department, 984 Old Mill Run, The Villages, Florida no later than Tuesday, April 30, 2019. Are you interested in learning information about The Village Community Development Districts? Help alleviate the confusion, questions and misinformation that exist regarding the responsibilities and functions of the Districts. 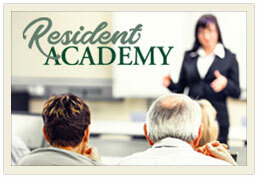 The Resident Academy provides an opportunity for all residents to learn more about the District Departments working together to make this a premier community! Participants will hear presentations from The Villages Fire Rescue, District Property Management, Community Watch, Recreation & Parks, Finance, Utilities and will even have the chance to tour the North Sumter Utility Plant! With an improved format and no waiting list, choose from three convenient dates in 2019 to fit your active lifestyle! Registration begins Thursday, February 28th. For additional information, please click on the header of this announcement or contact the District Customer Service Center at (352) 753-4508. To register, click on the link below. To view the information presented at the Advanced Wastewater Treatment Workshops, as well as the questions and answers discussed at the breakout sessions, please click on the header of this announcement. 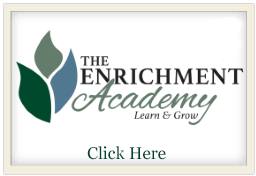 To watch a video of the entire Advanced Wastewater Treatment Workshop held on January 14, 2019, please click on the following link. If you have any questions, please contact the District Customer Service Center at (352) 753-4508. 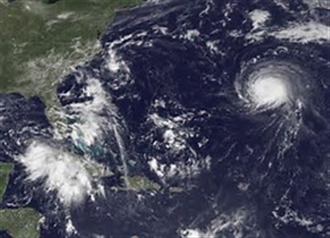 Emergency management and services related to preparation for severe weather, floods, hurricanes and other disaster response activities fall under the purview of the county in which you live. If you have questions on severe weather or other emergency management issues in your area, please contact the appropriate county below. Lake, Marion and Sumter Counties also have programs designed to notify their residents of weather incidents, hazardous conditions and other important information. Have you ever wondered why the irrigation is running along a roadway for a mile or two or on a golf course for days after an extreme amount of rain has fallen? Well, it’s due to the fact that the water retention areas throughout The Villages are above the recommended level and must be lowered. 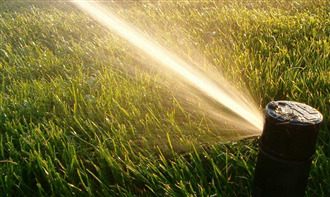 These measures are in place to make room for more rain water, which is collected from the streets, yards and golf courses, should there be a second rain event coming. This information is provided to you by our District Property Management Department. To view the information presented at the Storm Water Management Workshop, as well as the questions and answers discussed at the breakout sessions, please click on the header of this announcement. To watch a video of the entire Storm Water Management Workshop held on Monday, February 26, 2018, please click on the link below. The Storm Water Management maps are also available below. If you have any questions, please contact the District Customer Service Center at (352) 753-4508. 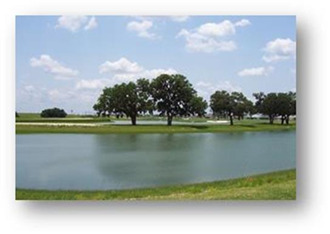 Did you know that many of the water retention areas in our community are connected through various inlets and pipes? In addition to storm water, everything that enters the storm water pipes can end up in the water retention areas throughout our community. This includes trash, leaves, fertilizer, soap from washing vehicles, animal droppings and more. Please help us ensure the health and continued maintenance of the water retention basins throughout The Villages by not placing ANYTHING in any of the storm water drains. Our National Pollutant Discharge Elimination System permit does not allow dumping into these storm drain systems. 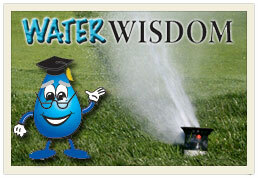 For additional information on storm water management in our community, please visit www.DistrictGov.org. 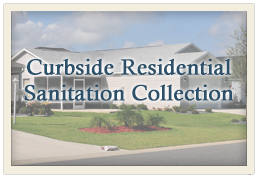 If you notice any dumping into these systems, please contact the District Customer Service Center at (352) 753-4508. In The Villages, the most important part of golf is having fun! 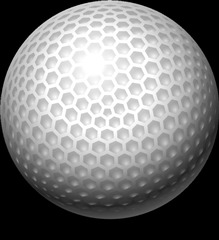 To learn more about making any casual game of golf more enjoyable, please click on the header of this announcement. For additional information, please visit www.GolfTheVillages.com. We strive to ensure that we have the most up-to-date contact information and emergency contact information for each resident of The Villages. If you would like to UPDATE your contact information or the emergency contact information listed for your property, please click on the header of this announcement and print out the attached form. You can return the completed form to the District Customer Service Center at 984 Old Mill Run in downtown Lake Sumter Landing. You can also place it in the utility / amenity / District correspondence box located at each postal facility without adding postage. If you prefer to call us with your changes, please call (352) 753-4508 Monday through Friday from 8:00 a.m. to 5:00 p.m. To email us your updates, please contact us at customerservice@districtgov.org. If you have any questions or would like to know what information we currently have listed for your home, please call (352) 753-4508. Personal folding chairs are allowed to be brought to events. The setting up and leaving of chairs prior to 3:00 p.m. is prohibited. Any chairs set up and left on the square prior to 3:00 p.m. will be removed by District Property Management. Our efforts are to manage and maintain a safe environment for visitors, staff and contractors at the squares. We appreciate your attention and support of this matter which will allow our Squares to continue to meet our high community standards. 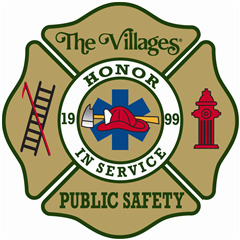 The Villages Fire and Public Safety Department offers smoke detector assistance to residents of The Villages as part of the Fall Prevention Program. 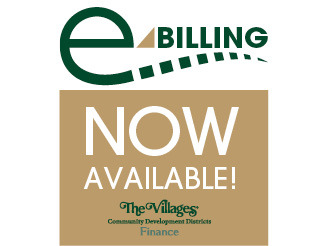 E-Billing is now available for your monthly water, sewer, trash and amenity bill! By signing up for E-Bill, we will no longer send you a monthly paper statement. All of the information pertaining to your monthly bill will be emailed to the email address you provide. If you have any questions or concerns, please email us at utilities@districtgov.org. 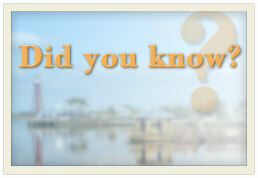 You may also call Finance Customer Service at (352) 750-0000. For additional information, please click on the header of this announcement. So, what is this I have heard about the Morse Bridge? Good Question! The Morse Bridge is in great shape and is maintained by Sumter County. What is all the “talk” about the bridge? The actual topic is the Morse Boulevard Island Embankment. We urge you to read through the information by clicking on the header of this announcement. Please do not hesitate to contact us at (352) 751-3939 if you have any questions or comments! On Monday, August 1, 2016 the Project Wide Advisory Committee (PWAC) held a meeting that included a presentation and review of a Slope Stability Analysis performed by Kimley-Horn and Associates, Inc. (KHA) for the Lake Sumter island embankment on Morse Boulevard. The goal and objective of the analysis was to hault and prevent further erosion along the perimeter of the embankment during average conditions, and offer engineered options that were aesthetically pleasing that require minimal maintenance. The analysis did not include the Morse Boulevard bridge over Lake Sumter, and there is no evidence of issues with the structure. The review included work performed by a sub-contracted geo-technical engineering firm who conducted extensive soil borings to thoroughly evaluate the slope of the island based on previous sloughing that occurred. Their findings concluded that the existing slope exceeded the Florida Department of Transportation (FDOT) minimum factor of safety for permanent slopes. a. Highest construction cost ($1.47 Mil. ); permanent solution with lowest anticipated maintenance. a. High construction cost ($1 Mil. ); ongoing maintenance required. The PWAC had extensive discussions regarding the options and the desire for a long-term solution that required minimal ongoing maintenance. Based on the review and information provided, and audience input, the PWAC directed staff to work with KHA to develop information to proceed with a rock revetment, option 1. Additional information will be presented at a future meeting. For additional information, please visit the Sumter County Department of Health website or contact them at (352) 569-3131. What Happens When I Call 9-1-1 in The Villages? It is very important that all residents are aware of what to do in an emergency. Please click on the header of this announcement to view information from The Villages Public Safety Department on what happens when you call 9-1-1 in The Villages. Please click on the header of this announcement to learn about tips to secure your home and what to do if you find your house has been burglarized. This information is being provided to you by the Sumter County Sheriff’s Office. Please help the wildlife by keeping them wild! Feeding wildlife can do more harm than good for both people and wildlife. Wildlife can adapt to living on golf courses and neighborhoods when its natural habitat is developed. Feeding wildlife may cause them to become dependent on handouts and lose their natural fear of people, causing injury to people on rare occasions. Please click on the header of this announcement for additional information. For each golfer’s safety from snakes and alligators, ball-hawking on the golf courses is prohibited. Due to the steepness of the water basin banks, we ask that you stay on the golf course side margin of the red or yellow hazard stakes. We encourage each golfer to put safety first as it would be very easy to slip and fall due to the current low water level. Community Watch and local law enforcement officials have teamed up in a safety initiative to prevent golf carts and other vehicles from driving and parking on our sidewalks and other unauthorized areas. Not only is it in violation of District Rules, but driving and parking on the sidewalks is also extremely dangerous for our residents and guests enjoying a casual stroll through the community. Have you noticed the traffic cones that have been placed along our sidewalks at handicapped access points on the squares? The cones were placed there originally to discourage vehicles from parking on our sidewalks. In the first phase of our initiative, Community Watch began removing the existing traffic cones. Community Watch is now placing red and black “WARNING” signs on vehicles parked in unauthorized areas. The warnings reference District Rules and are designed to educate vehicle operators of their parking infractions. Community Watch partnered with law enforcement in the second phase of the initiative to attempt to identify and notify owners of vehicles parked in violation of the District Rules. Owners are given the opportunity to move their vehicles. As a last resort, drivers of vehicles repeatedly parked in violation of the District Rules may be prohibited access to any District property. We hope this action is not required, but the safety of our residents and guests must be assured.Please be aware that there are also areas in The Villages in which there is only pedestrian and golf cart access. 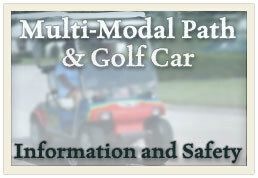 The Mulberry Dog Park is only accessible by pedestrians and golf carts. If you would like to drive your vehicle, please visit the Paradise Dog Park or the Brinson-Perry Dog Park. Please assist us in making our sidewalks safe for our residents and guests. 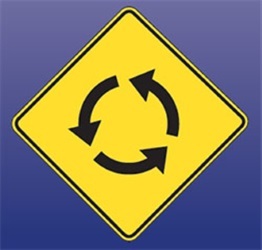 The Sumter County Board of County Commissioners in cooperation with the Sumter County Sheriff’s Office has developed an educational guide to navigating roundabouts in Sumter County. At the request of Sumter County officials, the District is providing this brochure for your information. If you have any questions regarding this information, please contact the Sumter County Public Works Department at 352-793-0240.